Emotional learning is a critical component of the educational experience. In order for students to reach their full potential in school and in life, schools must provide instruction on academics and emotional skills. In short, they must teach the whole student if they want to see healthier children and improved academic results. Audience - Educators and Teachers. Audience - School Leaders and Management. Audience – Middle and High School Students. Audience – High School Students. For children, school is an emotional cauldron: a constant stream of academic and social challenges that can generate feelings ranging from loneliness to euphoria. Educators and parents have long assumed that a child’s ability to cope with such stresses is either innate — a matter of temperament — or else acquired “along the way,” in the rough and tumble of ordinary interaction. But in practice, many children never develop those crucial skills. Now, the research is clear: emotional learning is a critical component of the educational experience. In order for students to reach their full potential in school and in life, schools must provide instruction on academics and emotional skills. In short, they must teach the whole student if they want to see healthier school climates and improved academic results. And thanks to clinical research, we now have the evidence that Emotional Literacy really works! When provided with the right skills and strategies, educators and students have the power to leverage their emotions to make healthy decisions, strengthen relationships and achieve desired academic and professional outcomes. 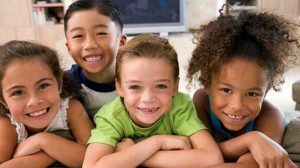 Scientific studies of high-quality Emotional Literacy programs have revealed the positive impact these curriculums can have on school success. Data from more than 270,000 students was collected for a large-scale study of universal, school-based programs in the US. In that study, students showed an 11% gain in academic achievement -- a significant improvement! Emotional Literacy program students were more likely to attend school, were less likely to have conduct problems, and received better grades. Emotional Literacy is also associated with significant improvements in students’ academic performance and attitudes toward school. Emotional Literacy students feel more connected and attached to their schools. Emotional Literacy programming can significantly improve students' skills, attitudes, and behaviour. Emotional Literacy programs effectively reduced student high-risk behaviour such as delinquency, substance abuse, and school dropout. Emotional Literacy prepares young people for success in adulthood. In summary, Emotional Literacy programs help students develop strong, positive relationships with both peers and adults. And since children learn more effectively from people they care about, Emotional Literacy can have a direct impact on academic engagement! ​Please contact us to bring an Emotional Literacy program to your school - 'RULER', that is based on years of research from Yale University.